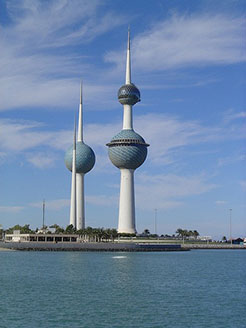 Kuwait Protocol General Trading Company is based at Kuwait and poised to serve the entire Middle East Market. Kuwait Protocol General Trading Company pride to have own development centre in India to deliver end to end solutions and proper support. Have extensive expertise in the market and in delivering solutions from small static websites to full office automation solutions for our clients spread across Middle East. From strategy to implementation, we deliver technological solutions that help drive transformation, improve productivity and streamline business operations.Information technology definitely improves business results. KPGTC helps organizations make sure it does. We look at IT issues strategically, in the broader context of our clients' business. To provide innovative Information Technology Solutions for a better world. We shall provide innovative solutions and services to our customers in various domains. We shall strive to grow our businesses through consistently exceeding customer expectations and moving up the value chain in our own spheres of businesses. All the stakeholders of our businesses shall always get a fair deal as an outcome of their participation in our businesses. Our work environment shall present itself as an opportunity for our employees to grow in both their professional and individual lives. Our customers shall always get value for their money. Our enterprise shall act always responsibly as a corporate citizen fulfilling its statutory and social obligations. Our enterprise shall always function in a way to uphold the image of all the stakeholders including our nation.